Apply to be a National Committee Representative! The Young Democrats of Washington has one of two National Committee Representatives open. To apply, please send your resume and cover letter (on what you would do in the position) to Lakecia.Farmer@ydwa.org. Applications close on September 22, at which point the executive board will share application information and their recommendation with the general board, subject to a vote of the body. If you would like more information, please feel free to email LaKecia, president. Department the position is in: Party Affairs Department, learn more here. 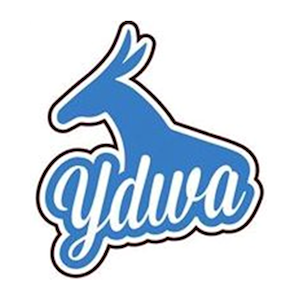 The YDWA National Committee Representatives (NCRs) are YDWA’s representatives to the Young Democrats of America (YDA). You can learn more about YDA at YDA.org. The NCRs must attend (or get proxies to attend on their behalf) YDA meetings three times a year and represent the interests of YDWA. Effective representation requires building national relationships with YDA leaders that can be leveraged to stay up to date on YDA topics and opportunities. The NCRs should strive to serve on committees or in other work groups to advance YDA projects. These positions also help recruit folk to attend the bi-annual YDA convention. The NCRs should also work collaboratively with the entire Party Affairs Department to build relationships with alum and former YDWA and YDA members in order to preserve institutional knowledge, mentor, and fundraise for YDWA. Ability to self fund national travel – 6 meetings over two years (at least $3,000). Relationships with (or willingness to spend time building relationships with) YDA leaders at the national level. Ability to navigate bureaucratic settings and still deliver results. Skilled at reading rules and bylaws in order to vote in the best interest of YDWA. 5-20 hours of work per month. More work may come up when leading up to YDWA convention, YDA meetings and YDA convention. National connections to Democratic Party leaders. Knowledge of national political trends. A vote at Young Democrats of America meetings.